This quarter sawn white oak vanity can be found in home on Delancey St. in Old City Philadelphia. 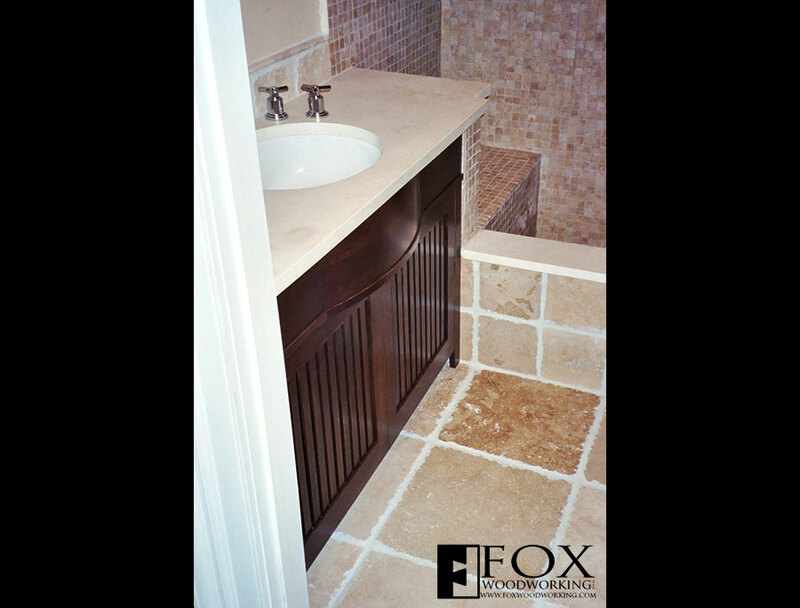 Since this was a rather small space, we had to be creative with the cabinet's construction. 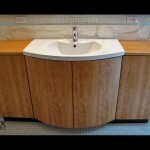 While we kept the cabinet rather shallow in depth, we added the bowed front to allow for a larger sink. Also, the designer offset the faucet and handles to move the sink as far back as possible. Additionally, the client asked that we allow for air circulation in the cabinet. Therefore, we used vertical slats in the stile and rail doors rather than a solid panel.